These Data File Compatible Alpha Labels feature a wrap-around color bar and a White alpha character printed on a white background. Each label additionally contains alignment marks, to allow for easy placement. 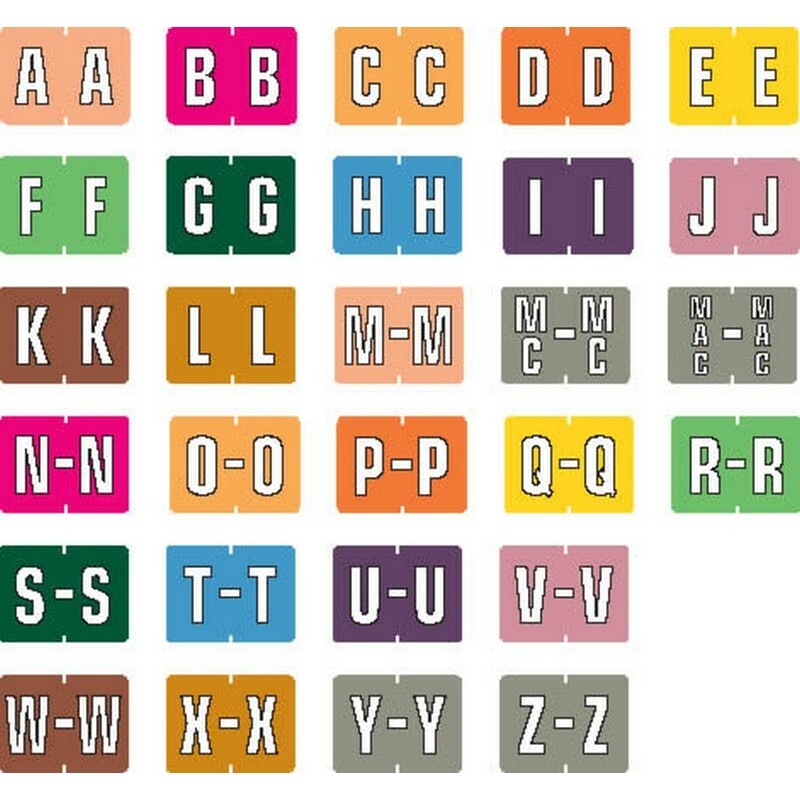 Colors are compatible with Data File end-tab filing systems. Label Size: 1 1/4" W x 15/16" H, Before Folding. Laminated for protection. Please fill out the form below to request special volume pricing on the product S-DATA-PK. Please fill out the form below to request additional information on the product S-DATA-PK.